The C-9A Nightingale is a modified version of the McDonnell Douglass DC-9 that is equipped with a hydraulically operated folding ramp for efficient loading and unloading of patients and medical equipment. Equally important as the US Air Force bombers, the C-9A Nightingale is the only aircraft dedicated to the transport of ambulatory and litter patients. It features an exclusive care area featuring a separate ventilation system for patients that require intensive care. A medium-range, swept-wing, twin-engine jet aircraft, the Nightingale is designed for comfort and speed; it made Medevac missions a walk in the park. To date, the C-9A Nightingale remains the only aircraft dedicated to the completion of Medevac missions, and can regularly be seen at military and commercial airfields. 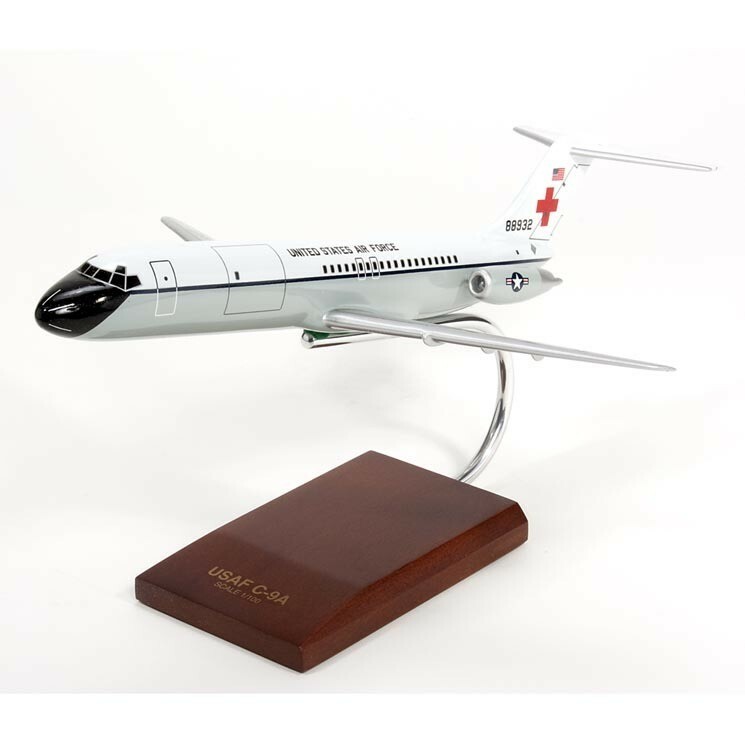 The C-9A Nightingale scale model aircraft is a must-have for those looking to complete their aircraft replica collection. Its historically accurate design and features make it an awesome and worthy addition to any collection, whether big or small. It can even stand on its own and add sense of place and history to your living room or study. Grab one for your growing collection today and see what wonders the C-9A Nightingale can do to your home or office.